^ that's great. I love to change my place, like small changes, painting a wall with a different colour, etc. Unfortunately I rent the place I live and can't change the floor, which is terrible. What your floor will look like? I'm getting ready to go to sleep, listening to the new radiohead. It's saturday 0:33 here. I'm stunned. RIP Jo Cox, an MP here in Britain, who was murdered earlier this afternoon. Absolutely awful. On a (sadly) related note, I've seen people on Facebook and Twitter link her murder to the Leave campaign here in Britain. I'm disgusted people would do this. No matter what side of politics you're on this is a seriously tragic thing that happened today and I DO NOT understand how some people can then go on to politicise it. It's the same thing that happens when anyone who happens to be Muslim does something horiffic - all Muslims are blamed. If he'd been an immigrant you bet your bottom dollar that the some of the more repugnant members of the Leave campaign would be using this as a political token to support their cause. At the end of the day, a crazy fuckwit murdered an innocent woman for absolutely no reason. That's something everyone can agree on. Her poor family. From what I've been reading it seems this man is mentally unstable, to put it lightly. There are reports he was let out of an institution only days ago. I imagine the full story will make its way out over the coming days. Tragic. Came here to post the same thing. Hot, hot, hot. Indeed! Absolutely sweltering earlier this afternoon. I have had a temperature for weeks so this heat is not helpful in the slightest and I just want to sit in a freezer. I'm getting ready for my comeback on this forum because I've barely posted here for some time. It was a little cooler today thankfully...but only just! @AdvertBreak - I for one am looking forward to a more active Off Topic section! tom_cas1 wrote: It was a little cooler today thankfully...but only just! Stunned at how dead this place has been lately. The Music Is My Radar board keeps things ticking over. 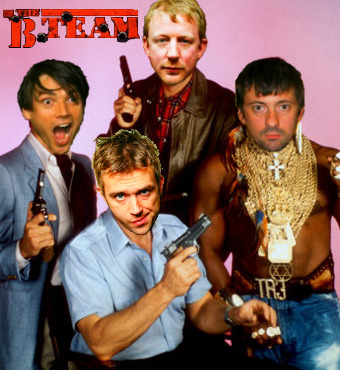 In the absence of new releases by the 'Blur family' of acts.